In this particular video DoP Steve Gray discusses the benefits of using the ARRI Amira while filming a documentary about Ebola in Sierra Leone. He highlights its ease of use and flexibility when shooting an impromptu dance in an isolated village in the jungles and mountains of Africa. 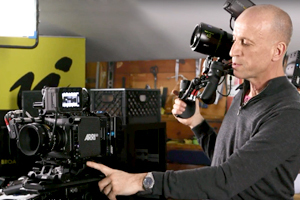 This entry was posted in Cameras and tagged DoP Steve Gray, Amira, Arri Amira, ARRI on 22nd March 2019 by Visuals.